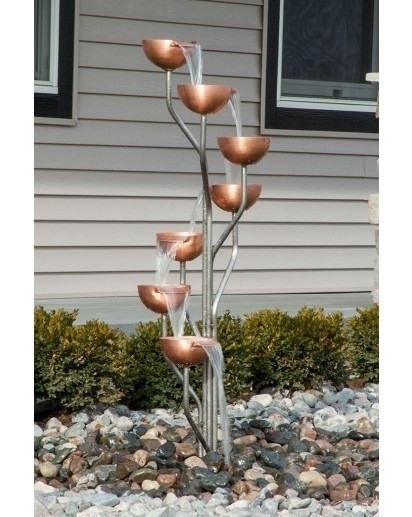 The Copper fountain has that eternal allure and rich color that is sure to bring elegance to any setting. 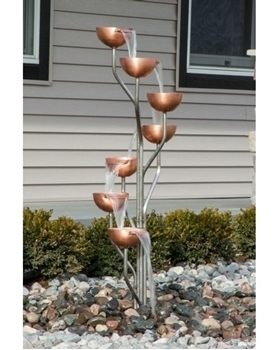 The anti-rusting property of copper makes it an ideal choice for this fountain. 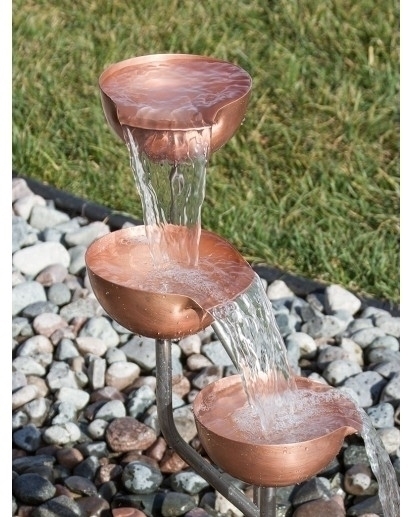 Over time, exposure to water and air will form patina, which gives a deep and enriched hue to the copper. Patina is a tarnish that forms on the surface of copper, bronze and similar metals (produced by oxidation or other chemical processes) The fountain body is a welded construction, self-supporting and embedded in a concrete base. 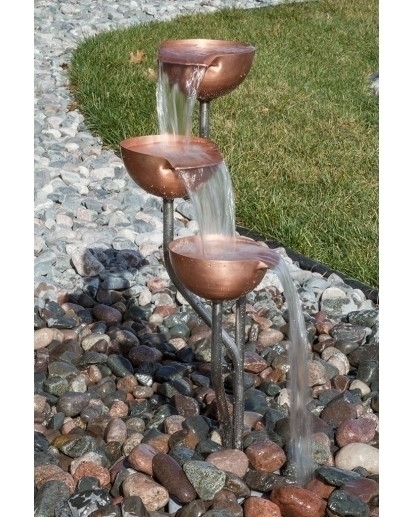 All Harmony springs fountains can be used as a stand alone fountain atop our Aqua Bella fountain basin, or added as an accent fountain to other water features.